We offer highly reliable gamut of Water Treatment Plant Resins, Ion Exchange Resins that mainly includes anion ion exchange resins, cation resins, softener resins etc. We are counted amongst the leading Industrial Ion Exchange Resin Suppliers, based in India. Our Ion Exchange Resins are manufactured using the high technology equipments by expert professionals. 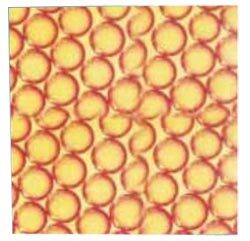 These Ion Exchange Resins are in huge demand due to their effective performance and reliability.